Fan of Street Art? Whether it be graphic, humourous, poetic or political, this Philadelphia- born trend has overtaken the world in a matter of decades. Still as creatively controversial as ever, Street Art has made its way into galleries and secured a place in today’s Contemporary Art market. Here we’ve made a list of the ten most explosive works from today’s urban scene. 1. Jef Aerosol, Chuuuttt !!! 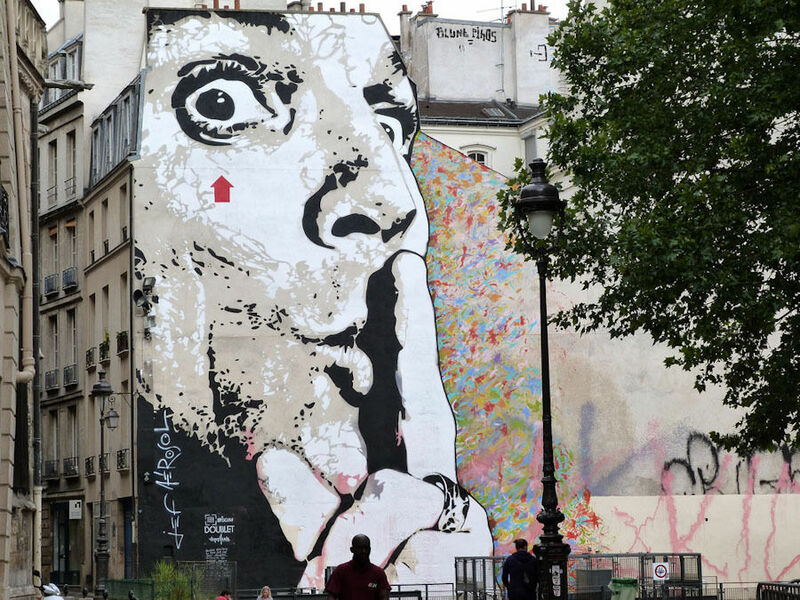 Created by Frenchman Jef Aerosol in 2011, this 350 m² self-portrait was created in collaboration with the Pompidou Centre. Facing the Tinguely Fountain, it invites passer-byers to take a break from the constant urban noise and have a chilled-out moment of silence. Since the late 1990’s, yellow cats with large, teethy smiles have been plastered all over walls in France. This particular character is named M. Chat, or Mr. Cat in English. His creator, Thoma Vuille, is a Franco-Swiss urban artist who paints what he wants, where he wants. Because of this, he has gotten into trouble and had many setbacks. 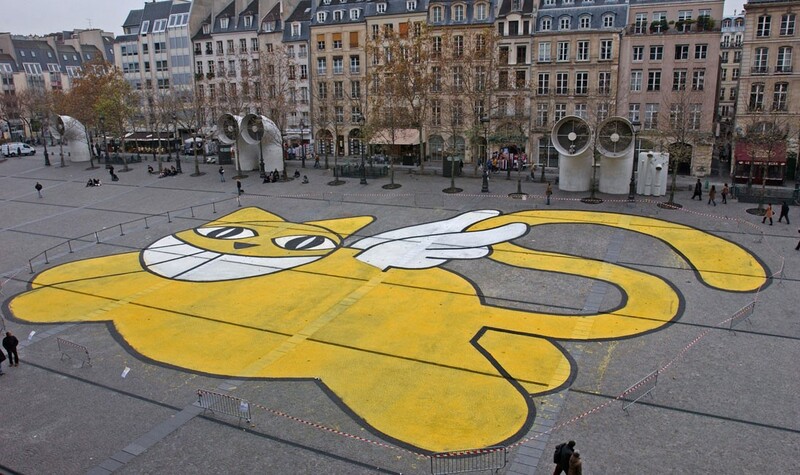 In 2004, this yellow cat even found himself on the square in front of the Pompidou Centre. Who doesn’t know Banksy today? He’s arguably the most famous street artist in the world. 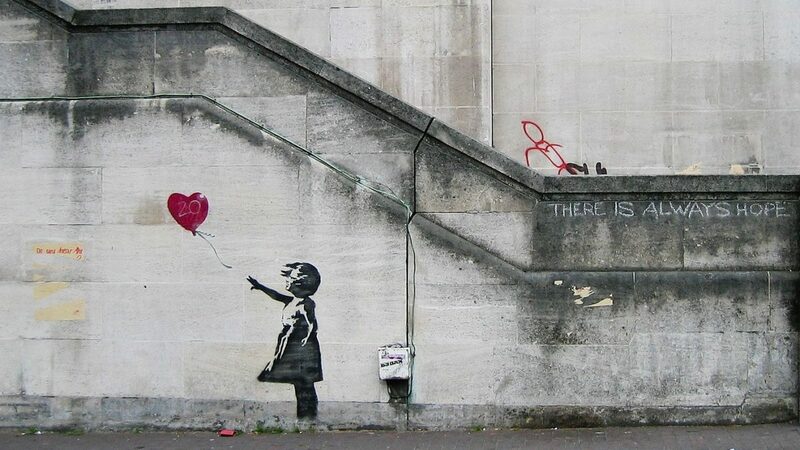 In 2002, he made a stencil mural of Girl with Balloon which was first seen on the side of Waterloo Bridge. Letting her balloon fly free, the girl in the black dress has been recreated in different variations over the past decade. 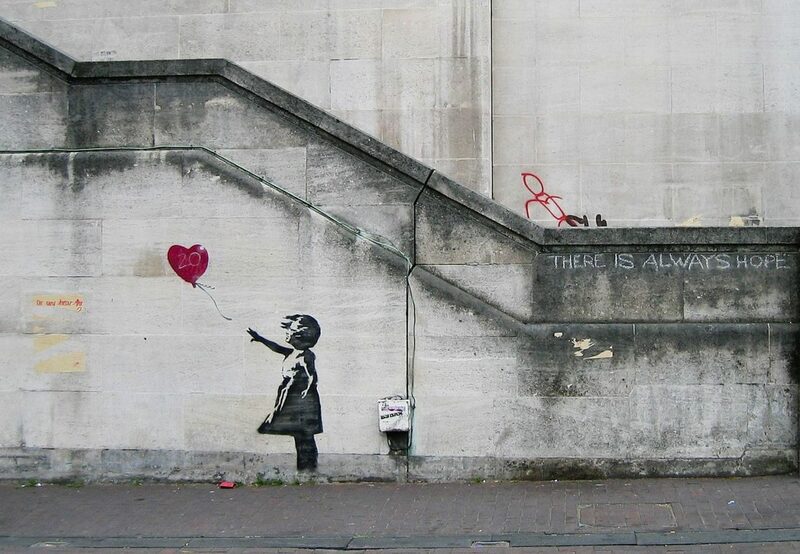 An emblem of optimism and overcoming adversity, Banksy writes that “There is always hope.” Subject of one of the biggest scandals of 2018, this work, as many others by Banksy are often ironic in nature, offering a poignant social/political commentary. 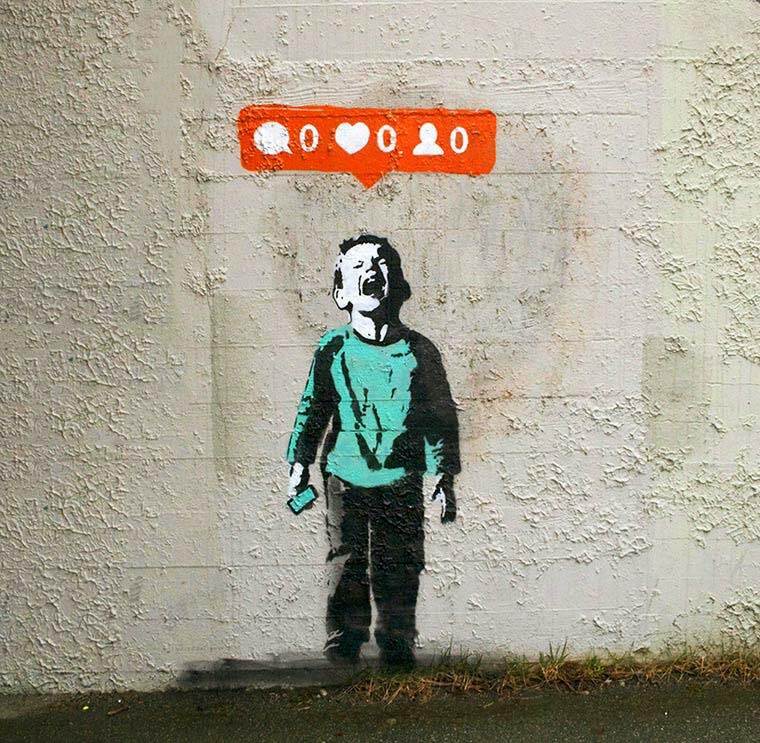 Symbolic of our hyper-connected society, the work of the Canadian artist, iHeart, reminds us of the modern-day quest for e-importance. Smartphone in hand, we wait, like a spoiled child, hoping that the internet will validate our existence and reward us for petty achievements. 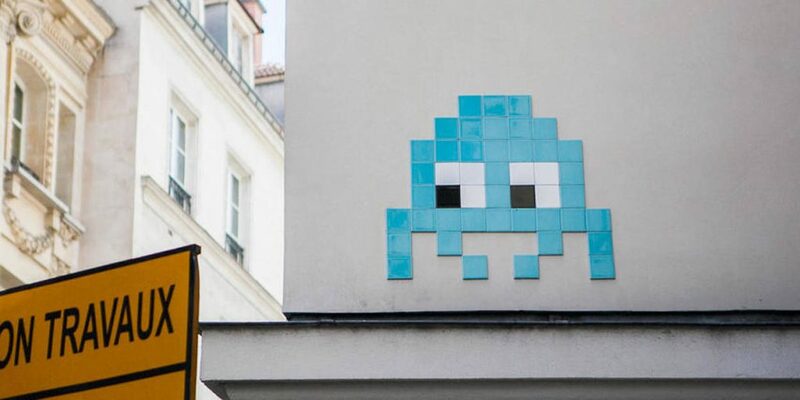 Space Invader’s urban mosaics can often be missed if we don’t look up. 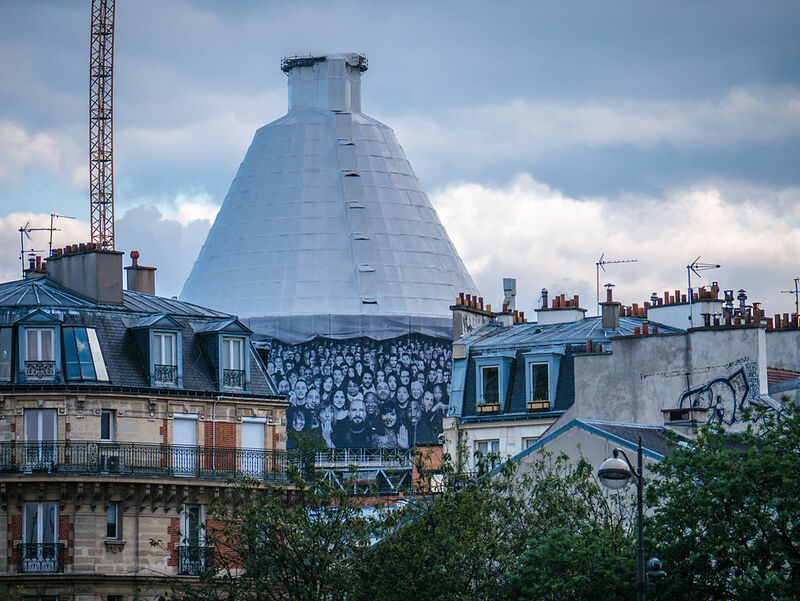 Known for his pixeled cartoon style, his first work was installed near Place de la Bastille in 1996. Since then, it has appeared all over the world. The artist defines himself as a “hacker” of public spaces. American artist, Shepard Fairey, is a well-known figure in the world of Urban art. 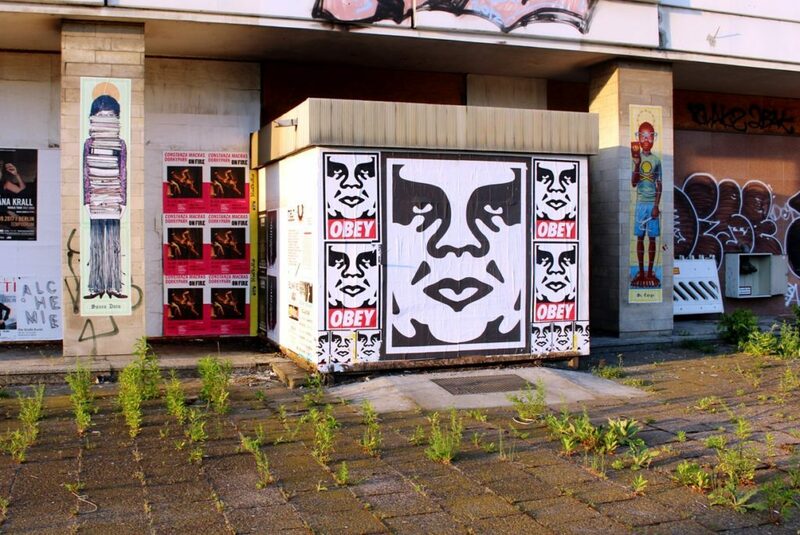 Launching a massive movement called “Obey Giant”, he used a repetition of posters and stickers to disseminate his message. As a silkscreen designer and illustrator, his main claim to fame is the production of the famous “Hope” poster for Barack Obama’s first campaign during the 2008 American presidential elections. It is difficult to feature only one work by the French artist Miss. Tic. 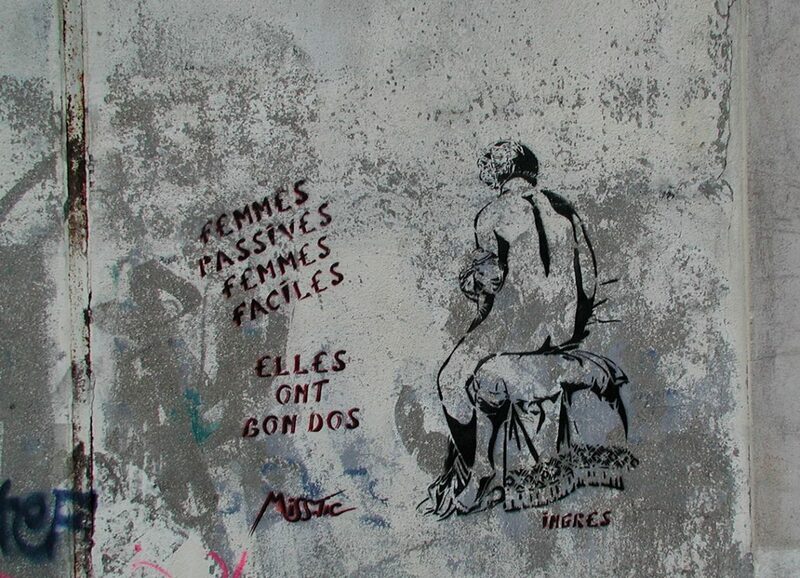 Her poetic and witty stencil murals are particularly visible along walls in the 13th arrondissement in Paris. A feminist artist, her works represent women accompanied by true yet nonetheless caustic captions. 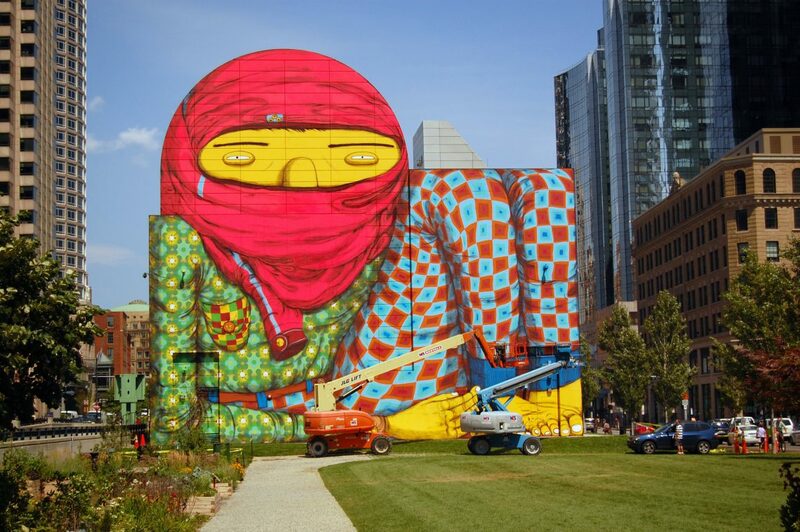 Nicknamed Os Gêmeos, the Brazilian-born twin brothers adorned one of the facades at the Rose Kennedy Greenway on Dewey Square in Boston in 2012. A massive fresco that has coloured the city yellow, this character’s palette is reflective of the artist’s Brazilian heritage. Described as a “small miracle”, the artists amazingly received the permits and clearings to carry out such a large-scale work in just 10 days. 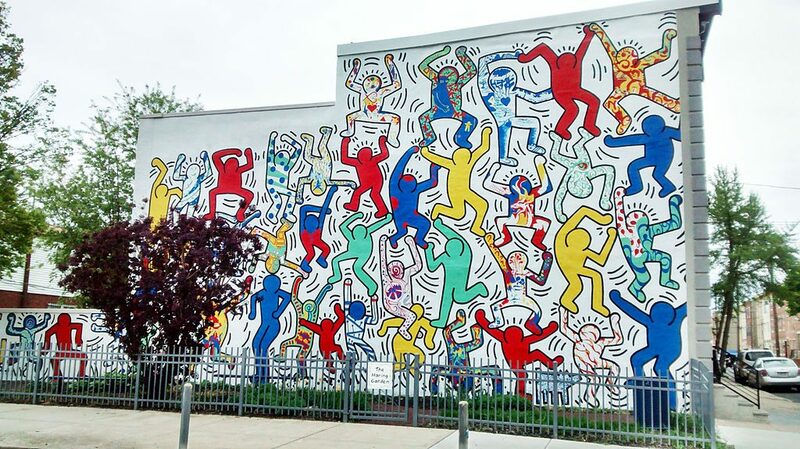 Artist, Keith Harring, who passed away far too early in 1990, left his mark on the world of Pop art and Street art. One of the first to create murals, his work is easily recognisable thanks to his joyful, yet faceless characters. Created in Philadelphia in 1987, We the Youth remains the only Harring mural that is still in tact at its original site.